Over 200 practice questions with detailed explanations covering all topics and 4 complete practice papers make this an invaluable revision tool at your desk or on the move. The practice questions are suitable for any Higher Tier GCSE. The complete papers are written for the 2-paper Linear courses from Edexcel (1MAO), AQA (4365) and OCR (J567). The topic questions come with solutions and detailed explanations that are written in student-friendly language. Work through each topic to revise and gain confidence, then try the practice papers to test your knowledge and understanding. 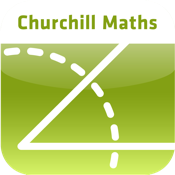 The content of this App is of excellent quality from the author of practice GCSE and A level papers used in hundreds of UK schools. There is no overlap of questions with our current papers sold to schools.